In a world where the fuzz about big data’s influence on football keeps getting bigger, it can be difficult to find the signal in the noise. What should your club analyze? How do you get started? With our Insights tool, we will help you catch the data train in your own pace. With our groundbreaking approach, we have created the conditions for getting the big and easy overview allowing you to enter the blue ocean of data with relevant resumes of your club’s performance on individual and combined levels. 4Manager gives you the overview of your football operation processes! 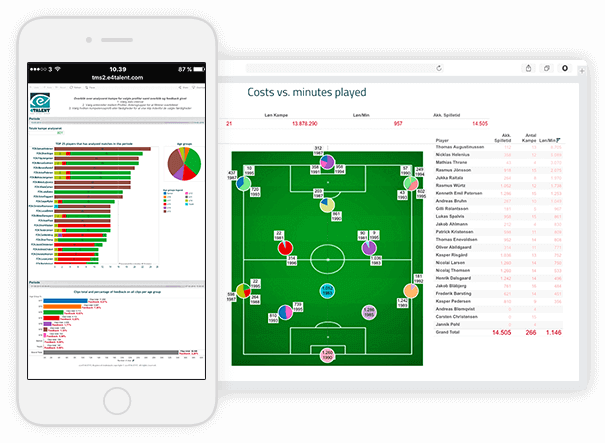 The data collects itself through our Player, Coach and Scout Universes and with powerful visualization, the tool helps you discover the essence prior to making strategic decisions on your club’s talent development and recruitment in line with the strategy. Insights supports your decisions with fact, increases your competitiveness, and takes your talent development work to the next level. Track your talents’ developments with visual overviews. Compare players playing in the same position or from the same year, browse through their video history and get the overview of their own analyses and reflections. 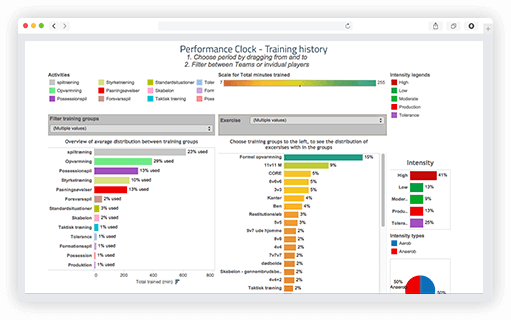 Furthermore, you can achieve insights in the players’ performance clocks that collect match data and training history in total. This way, 4Manager allows you to follow up on the player’s individual development plan and evaluate short and long term goals. What is the biggest weakness in your internal squads and are you scouting the right external players? 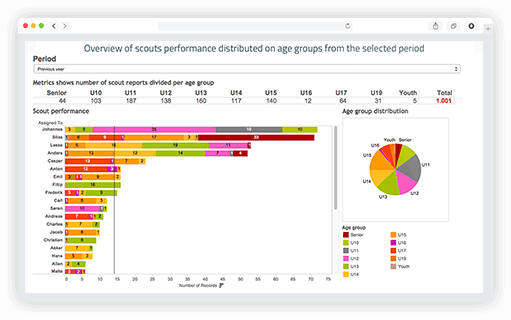 Assess scouting performance, keep track of your KPIs and achieve the whole picture of your club’s scouting reach. You can also adjust the tool to your scouting strategy. Compare assessments of your home-grown players with players from other clubs before starting the recruitment. In order to minimize the risk of failure in recruitments, you can get an overview of how potential players fit into your style of play and your playing philosophy. Make the things you believe into things you know and support your decisions with fact to increase your competitiveness and take your talent development to the next level by assuring the quality of the work being done on a daily basis. 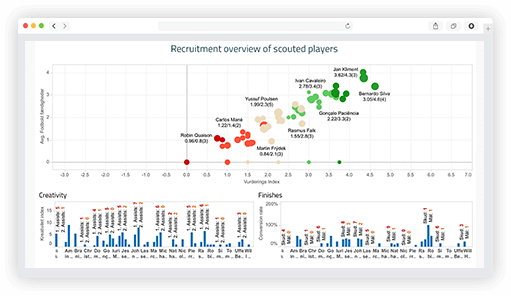 Get a visual overview of your talent production line and the balance between player costs and actual minutes played. Gain full control and maintain the overview of squad composition and the player pipeline down through your youth squads. 4Manager also provides you with the documentation of all processes, which is essential to reporting to FAs or to the board of your club.